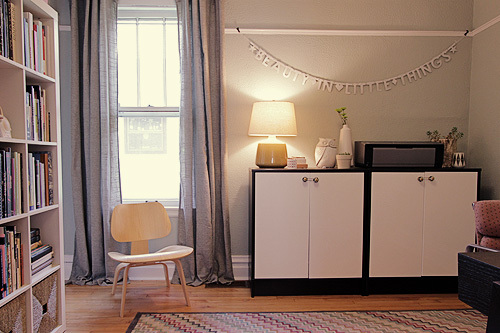 Nicole Balch’s Lovely Home Office Renos - Mom Made That! A while back, you may remember me chatting about the office renovations of one Ms. Nicole Balch of Making It Lovely. Well, her gorgeous space has gone through a whirlwind of transformations, and it’s fabulous — as we knew it would be! Take a look & be sure to visit her blog for more inspiration! A deck can add value to your house and make it more welcoming. If you think about adding one to your home, you should do your best to hire a reliable deck builder to help you. Our deck at home was built by our trusted deck builder company. Such a wonderful look! Just think about how much work you could get done in a fresh and fantastic space like that one! 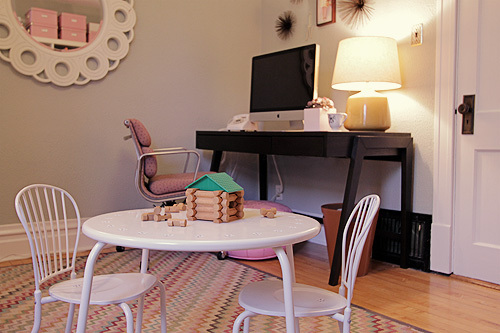 And again, I ADORE the little spot, the table & chairs, which bring her children into the room. They even have air conditioners installed ac repair Maui – by Lovely indeed! Have you taken on any home renovations lately? What would you dream home office look like?